The classic blue Calsonic livery will adorn the No. 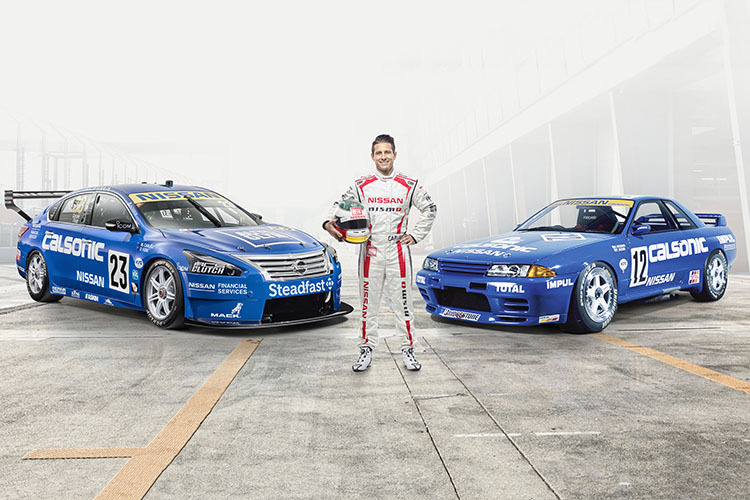 23 Nissan Altima of Michael Caruso and Dean Fiore at the upcoming Sandown 500 in Australia. At the annual “retro round” for the Australian Supercars, the Nissan Motorsport entry will pay tribute to the car that dominated Japanese Group A touring car racing in the early 1990s. 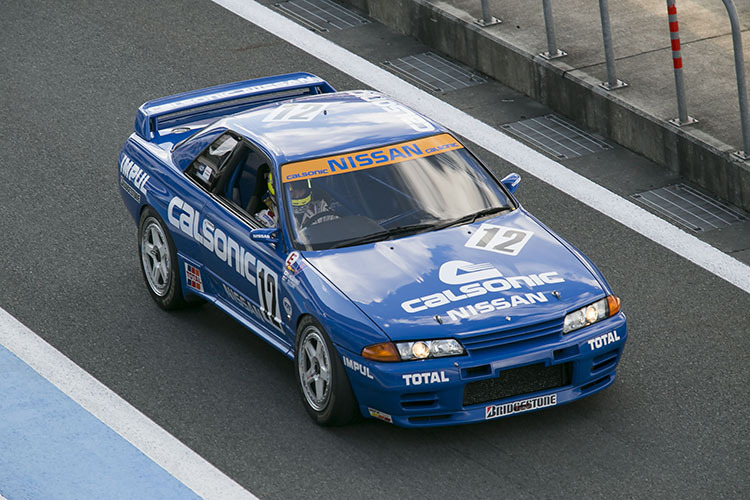 Run by Team Impul in the Japanese Touring Car Championship, the Calsonic Nissan GT-R R32 took an impressive 15 victories, as well as the 1990 and 1993 titles. More significant, the famous R32 model holds the remarkable record of remaining undefeated in all of its 29 races, from its debut at the start of the 1990 season through to the end of the Group A era in 1993. The Calsonic Nissan found increased global fame thanks to its popularity in the Gran Turismo video game and became a favorite of GT Academy graduate Jann Mardenborough, who has gone on to race the Calsonic-sponsored GT500 in Super GT this year. Calsonic, for the record, has maintained with Nissan one of the longest sponsorships in motorsport. The company has joined forces with Nissan for more than 30 years in Super GT and major endurance events, including the 24 Hours of Le Mans and the All-Japan Sports Prototype Championship. In Super GT alone, Calsonic won the first three consecutive championships as a sponsor from 1993 to 1995, the car driven by Masahiko Kageyama. And the famous livery is still seen today on the GT500 driven by Mardenborough and Hiro Yasuda. The original Calsonic GT-R resides at the Nissan Heritage Museum, in Japan. The Wilson Security Sandown 500 is the first event of the Australian Supercars’ endurance season, followed by the Super Cheap Auto Bathurst 1000 and the Vodafone Gold Coast 600, both staged in October.